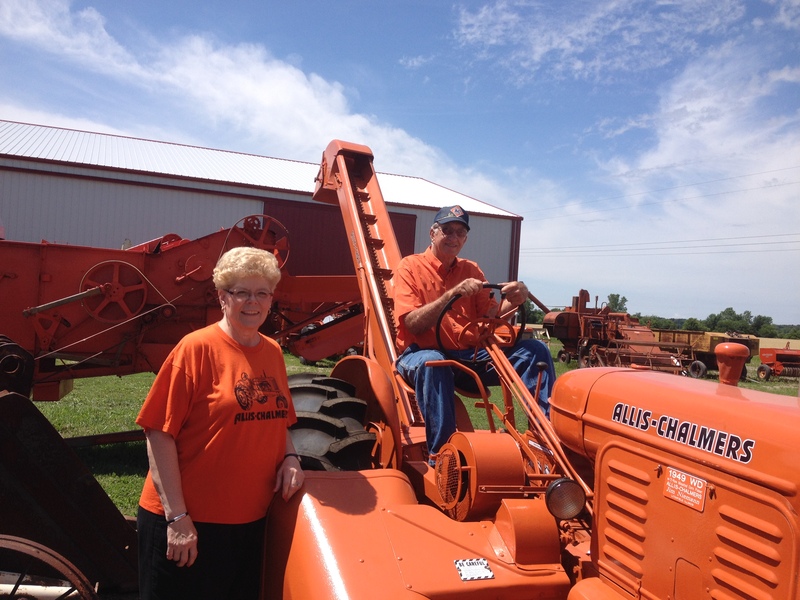 I have known the Niemann’s for years and even have interviewed Jim about his Allis Chalmers tractors once before. I knew they loved the Persian orange, but what I didn’t know is that they open up their farm and collection once every two years and put on a gospel concert inviting folks to bring a lawn chair, and sit a while. The gospel group The Chosen Ones along with musical talent from the Niemann family offers up wholesome family entertainment while giving visitors a chance to enjoy a look see at the Allis Chalmers tractors and combines on display as well. With every combine AC built from the #40 to #100 AC tractors, a threshing machine and much more, visitors got a bit of AC history along with a chance to hear old time gospel music to lift the soul. Jim said he is willing to open his collection up to those that want to come see it. While the equipment may not be out like I saw, it is still quite a site to see for any collector that likes the AC brand.
. If interested in checking out this cool AC collection, call Jim at 217-324-5574.